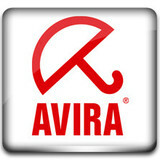 Avira Professional Security was designed to be a comprehensive, easy to use antivirus program, that will offer reliable virus protection to business users worldwide. You must obtain a test license in order to test the appllication. · Avira AntiVir, version 10 will be released with a new graphical user interface that features a completely new set of icons as well as a new 3D navigation bar and a continuous background picture. · The new user interface keeps the proven elements of the old interface and the customer does not need to get into a new interface. However, the new icon set and the other new elements make it much easier for the customer to find his way around the program. · Avira AntiVir, version 10 is now equipped with a brand new host-based intrusion prevention system called Avira AntiVir ProActiv. AntiVir ProActiv constantly monitors the behaviour of the system in real-time and looks for unusual events. · An integrated rule-system is able to decide proactively if a certain event (or a combination of events) indicates that the system is currently under attack from a new or unknown malware.